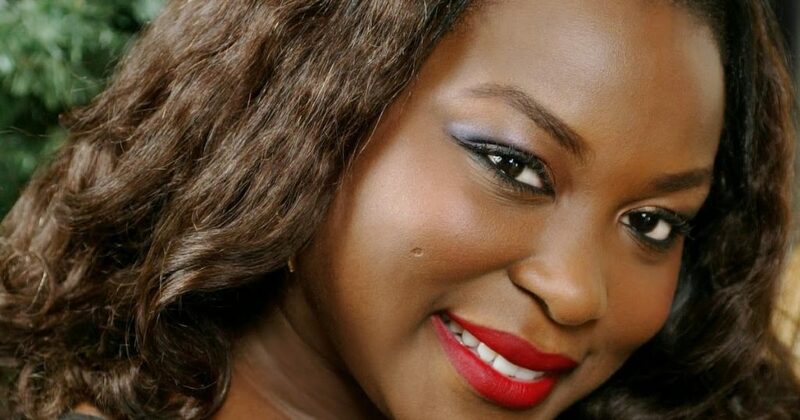 Bikiya Graham Douglas is an award-winning Nigerian actress and performing artiste. With extensive training in the renowned London Academy of Music and Dramatic Arts (LAMDA), the Oxford School of Drama, the Bridge Theatre Training Company and Point Blank Music School. She is the founder of Beeta Universal Arts Foundation (BUAF) and has a mission-driven brand that has a strong reach in the intellectual elite demographic. She has played strong roles including ‘Hadiza Bako’ in the hugely popular Africa Magic ‘Battleground’ series and has produced acclaimed stage plays such as ‘Our Son the Minister’ which returns to the theatre circuit just in time for the Lagos Fringe Festival. She has also participated in globally recognised fashion platforms such as Arise Fashion Week, alongside notables like Naomi Campbell and Iman Hamaam. Let’s start at the beginning. Why did you start acting? Acting chose me, I did not choose it, but as far as I remember I was that child who loved to role play in front of the mirror, in the backyard, everywhere! I was exposed to theatre, film and the arts generally from a young age and I remember every time I saw a performance I always wondered how they had the ability to evoke such strong emotions from just being… That interest and hunger grew and here I am. What roles do you find excite you today? I love to play a broad range of roles but villains are very tasking and push you out of your comfort zone and I believe that’s a good thing for growth and the character I play in Battleground is just that, scary and exciting. Who are some of the women in the industry that inspire you? Bolanle Austen-Peters, Ajoke Silva, Cate Blanchett, Tina Mba, Shona Rhimes, Maggie Smith. Do you find that you’re picky about the characters you play? I like to select what I will be identified with. So if that’s picky, then maybe I am. What do you think was a pivotal moment in your career? The moment I made the decision to follow my heart and start my journey as a performing artist. Our Son the Minister by Paul Ugbede is the winning play from the Beeta Playwright Competition. This competition was created to find new voices in the literary genre of drama amongst 18-40-year-olds in Nigeria. 28 states and the diaspora participated. The panel of judges included Professor Ahmed Yerima, Lala Akindoju, Shaibu Husseini, etc. This play is very special as it looks at the Nigerian story from a perspective we never consider in regard to leadership. It is about a doctor who has been made Minister but rejects the appointment on moral grounds, his family and friends conclude he has gone mad and therefore resorts to desperate ways to cure him. It is thought-provoking and hilarious and I’m so happy to be showing in on stage for the second time this year at Terra Kulture Arena from the 9th-11th November 2018 at 3pm and 7pm daily. After which I will be visiting five Universities for an outreach with the students on producing plays. The film features a strong cast and storyline. Did you learn anything from producing the play? I have been producing for a long time now and everyone is different and brings with it new challenges and I’m happy to take them on and learn from them. There’s a lot buzz surrounding your upcoming film God Calling. Can you tell us about your experience working with director BB Sasore? BB is such a darling to work with, he is very precise about what he wants to do so it makes it easy for the Actor. He also has a listening ear and will discuss, if you are unsure about anything. He is very generous and genuinely cares about his talent. I will work with him over and over again. What do you love about living in Lagos? The culture, the noise and limitless opportunities. What song are you listening to over and over right now? “Authentic Mama” by Olunosen Louisa Ibhaze it’s simply the best I have read in a long time.